The project consisted of the removal of an existing masonry operation garage and the construction of a new garage. The new facility was designed to compliment Ocean City’s new construction requirements. Also, special design requirements were required for pile foundations, flood plane elevations and high wind loads. 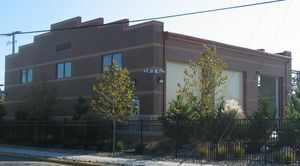 The new facility has a secure campus for the New Jersey American Water Company for the storage and operations of their vacuum trucks. The structure houses three (3) trucks with ample storage for pipe fittings and equipment. 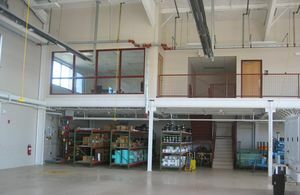 A mezzanine above the storage space contains a multipurpose room and locker rooms.